The Mission of PranaMedics is simple: To deliver MCKS Pranic Healing® any time, any place. 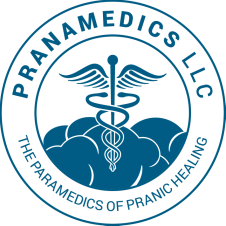 ​PranaMedics LLC was formed to provide an organization, a facility, and a staff to accomplish that mission. I’ve combined 29 years of Fire Service experience with 14 years of Pranic Energy Healing experience to create a service delivery model that matches highly skilled and trained Pranic Healing practitioners with anybody that needs physical, emotional, or psychological healing, whether it’s chronic and long-term, or acute onset and urgent. As a Firefighter-Paramedic, my original desire was to help deliver optimal health to my brothers and sisters in the Fire, Law, and Emergency Medical Services. However, as word-of-mouth has spread, and more people are looking for healing modalities complementary to traditional medicine, our client base has grown to include all sorts of people from all walks of life, and we serve all members of the public, in addition to our fine public servants. We provide distant Pranic Healing to clients all over the world, and we have Pranic Healers on-call, 24 hours a day, so we’re always ready to respond. If you have any questions, contact us and we’ll fully explain the whole healing process and how it works. In fact, this technique works so well that we offer a 100% satisfaction guarantee, or your money back. It’s that simple. ​PRANIC HEALING® is a highly developed system of energy-based healing techniques that utilizes prana to balance, harmonize and transform the body's energy system by cleansing, energizing and balancing the body's bio-electromagnetic field, or aura. PRANIC HEALING® practitioners do not physically touch the client's body, diagnose diseases, prescribe any drugs/substances or make any health claims or guarantee any outcomes. PRANIC HEALING® practitioners are not licensed physicians or surgeons -- unless they have learned PRANIC HEALING® in addition to receiving an MD degree. PRANIC HEALING® treatments are not licensed by any state. They are complementary to any state-licensed healing practices or services.